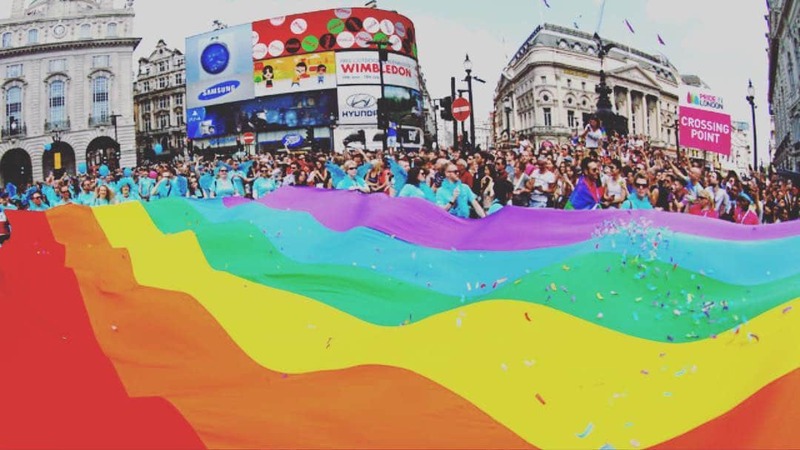 This Saturday, the famous Pride Parade is set to fill central London with colour and joy. Here’s the route, parade times, and all you need to know. 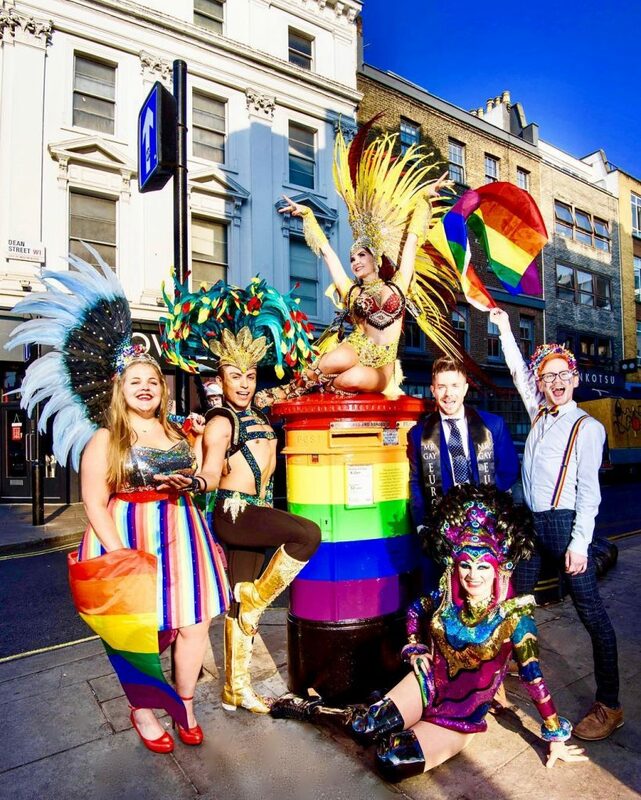 Pride in London’s month-long Pride Festival culminates with this weekend’s Pride Parade, with up to a million people expected to descend on the West End. 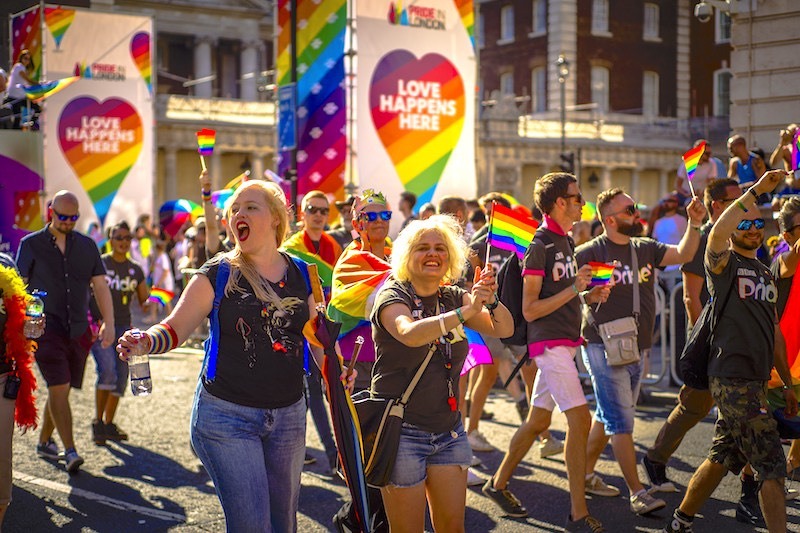 It’s a chance to celebrate all the forms love, sexuality and gender take in London; to continue to fight against the issues that LGBT+ people still face in our city, and to express solidarity with LGBT+ communities around the world. #PrideMatters more then ever – here’s how to take part! 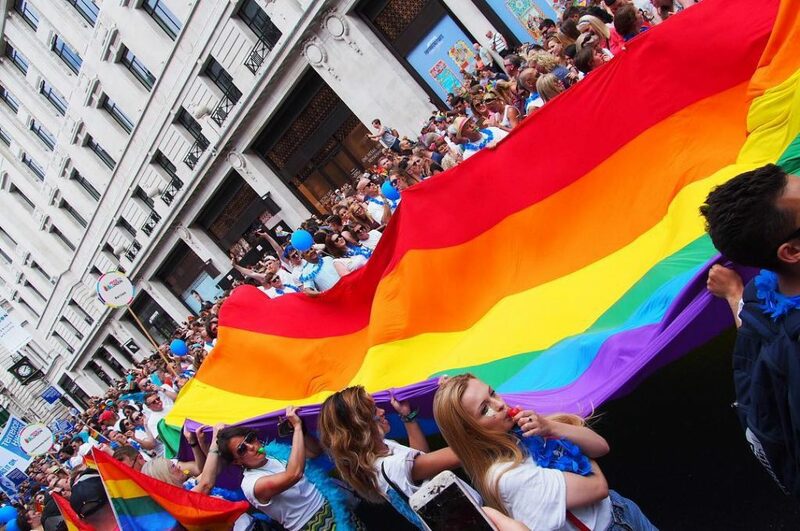 When is the Pride parade in London? The Pride Parade kicks off at midday! There are over 30,000 participants from 500 different groups, making it the biggest and most diverse Pride in London’s history. It also means there’ll be FOUR WHOLE HOURS of paradin’, from when the first group sets off, to when the final group arrives at its destination. 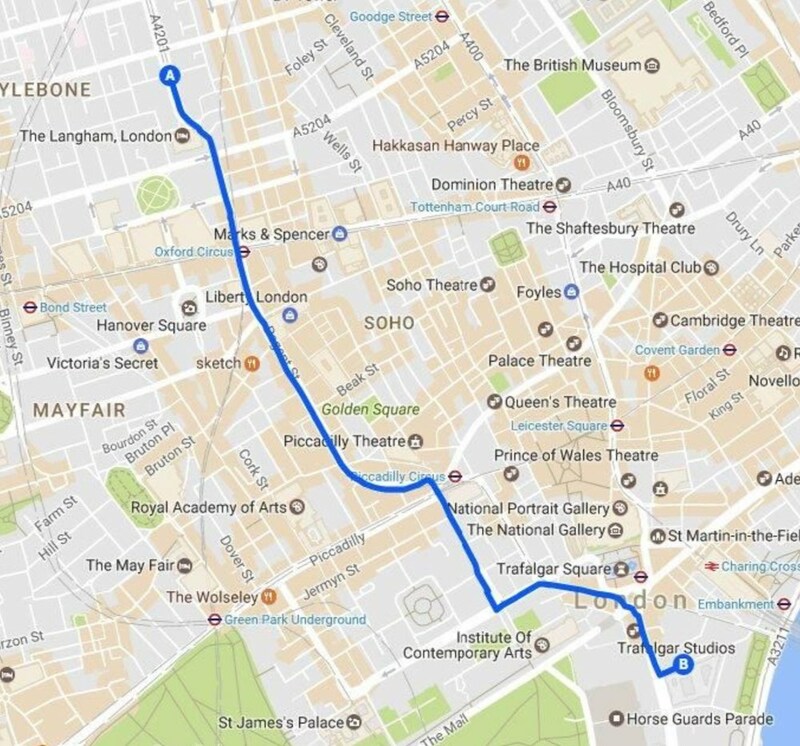 Where is the Pride in London parade route? Is there a Pride Parade route map? There’s an interactive version, that also includes participating venues (and loos! ), over on the Pride site. What else is happening at Pride in 2018? There are four free, fun-filled stages in the West End offering entertainment galore from midday through to 8pm. 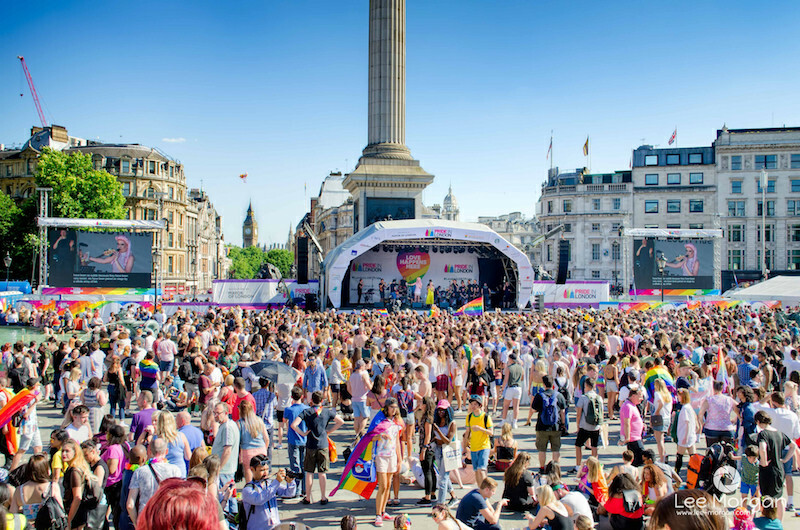 The main stage in Trafalgar Square will be hosting a whopping 34 performances, including Alexandra Burke at 6.30pm and winners of Pride’s Got Talent. The Women’s Stage in Leicester Square has been programmed in partnership with DIVA Magazine with headliners including Nimmo, Horse, BETTY, Lauren Bannon and Lots Holloway. 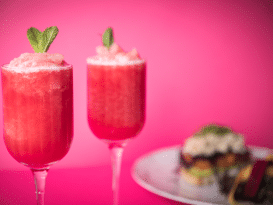 Head to Dean Street in Soho for the Cabaret Stage, with 30+ colourful and entertaining performers on the lineup, and even more roaming in the crowds! You can also head to Soho Square to visit the ‘Community Village’, offering 30+ stalls selling their wares and donating their funds to local charities. What else is happening during Pride? If you want to rainbowfy yourself you can pop to the Pride in London pop-up shop on Old Compton Street, Soho, where they’re selling official merchandise, magic markers that leave rainbow patterns and other bits and bobs that raise money for the organisation. Afterwards, the official Pride after-party takes place at Clapham Grand from 10pm – tickets for that here!